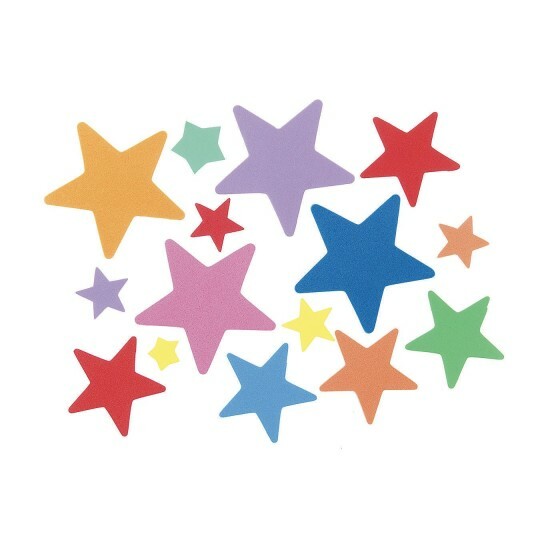 Assorted color foam star stickers. 5 oz. per bucket. Approximate sizes measure from .75" to 3"L. Approximately 320 pieces per bucket.